An Initial Coin Offering (ICO) is a way for startups to raise money by inventing and issuing a new cryptocurrency. 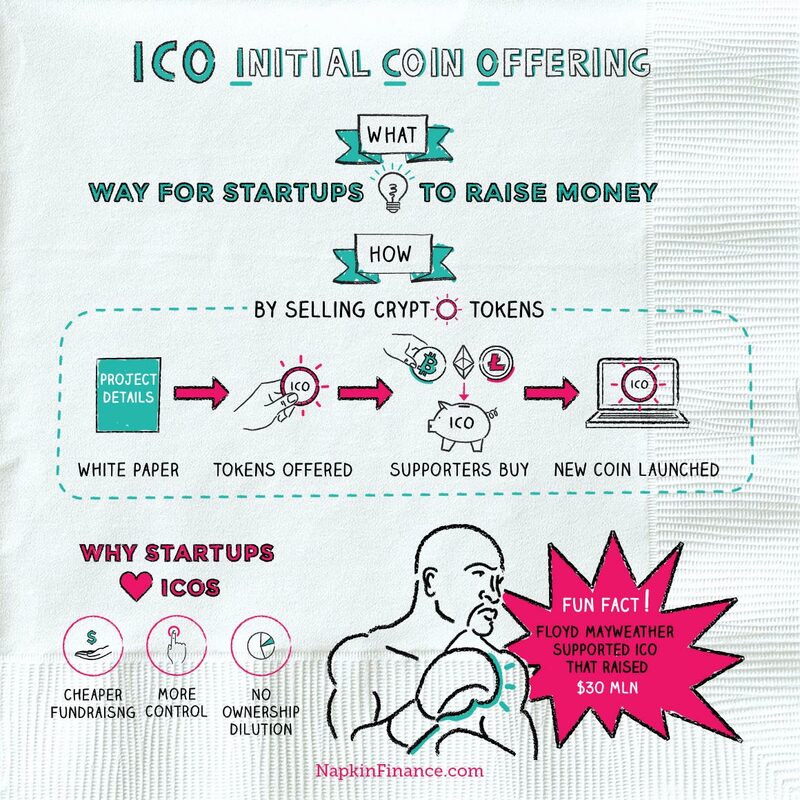 The name ICO is a play on Initial Public Offering (IPO), which is the traditional way companies raise money by staging an initial sale of stock. Step 1: Investors buy the new coin with Bitcoin or Ethereum. Step 2: If the money raised does not meet the minimum amount set, funds are typically returned to investors. Step 3: If the money raised meets the minimum amount needed within the set time frame, the team uses the funds raised to complete their project (at least in theory, but scams are common). Step 4: Once the project is up and running, tokens are released to investors, who can then trade them or hold onto them as a long-term investment. Despite those risks, ICO investors are typically hoping to get in on a successful project early so that they can earn big returns. Solution—Does the ICO solve a real problem? If it doesn’t or the project doesn’t really require blockchain technology, it may have a lower chance of success. White paper—Legitimate ICOs generally have a publicly available white paper that details how the project will work. Be wary of white papers that are vague or a project that doesn’t have one. Road map—Does the project have a realistic road map? What potential risks lie along the way? Team—What is the team’s track record and qualifications? Do any team members have criminal records? Promises—If an ICO is suggesting you should expect a 1,000,000% return on your investment or guaranteeing a return rate, stay away. As with investing in any cryptocurrency, a bet on an ICO is a gamble. Consider investing only what you can afford to lose and spreading your bets across multiple offerings. Another fund-raising method is called a Simple Agreement for Future Tokens (SAFTs).